Encased by India and China, as well as the deep folds of the Himalayas, the kingdom of Bhutan is also known as the ‘Land Of Thunder Dragon’. It is one of the few remaining Shangri Las on Earth, and a magical place where centuries-old tradition has survived and coexisted with modernity. The country was only opened up to travelers in 1974, and those who have been there since give it a pride of place; Bhutan is rated as one of the top ten global tourist hotspots in the world. Bhutan is as adorned with natural wonders as it is with the art and colors of Buddhism. The scenery is amazing, the architecture inspiring, the people hospitable, and the culture undiluted. Travelers will get to explore various religious and cultural sites, experience the wonders of nature, and admire the traditional farmhouses that punctuate the countryside. 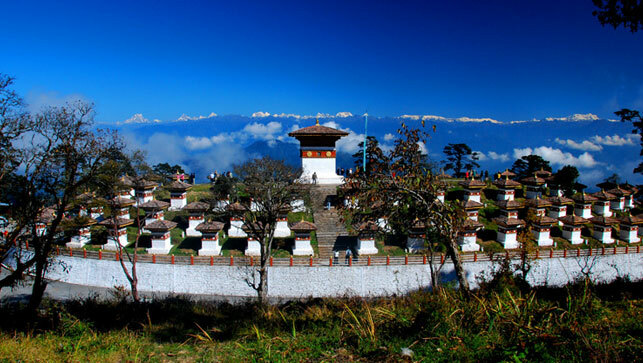 The kingdom along with Nepal holds the greatest concentration of mountains and living heritage of Buddhism. This spiritual land is the last bastion of the Vajrayana school of Mahayana Buddhism which provides the essence of a unique identity for the 750,000 people. While so much has already been written about Bhutan, one must visit the country in order to fully appreciate this exotic land. Far Out Nepal has been operating various tours in Bhutan for years. If you would like to travel with us, please send us an email and we can put together a great package for a good value.